If you've read some of my other articles on attachment (try this one on Understanding Infant Attachment, this one about Building Secure Infant Attachment, or this one on Understanding Adult Attachment), you probably already know that building a secure attachment with your baby is extremely beneficial to your baby's social, emotional, and even biological well being. 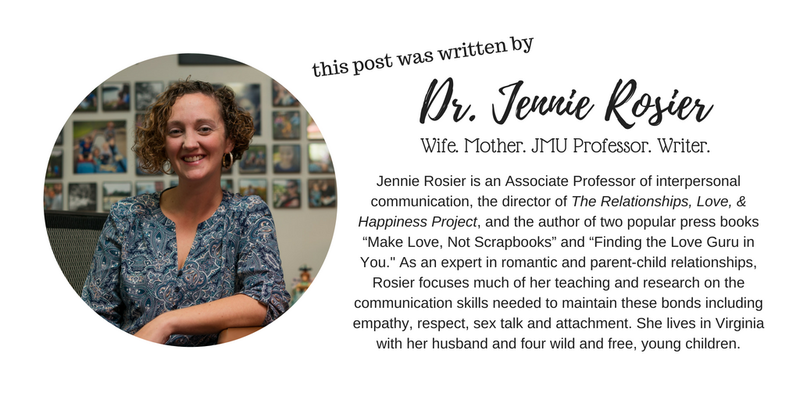 In this post, I plan to reiterate that point by summarizing the research on the benefits associated with secure attachment and the negative consequences associated with insecure attachment. 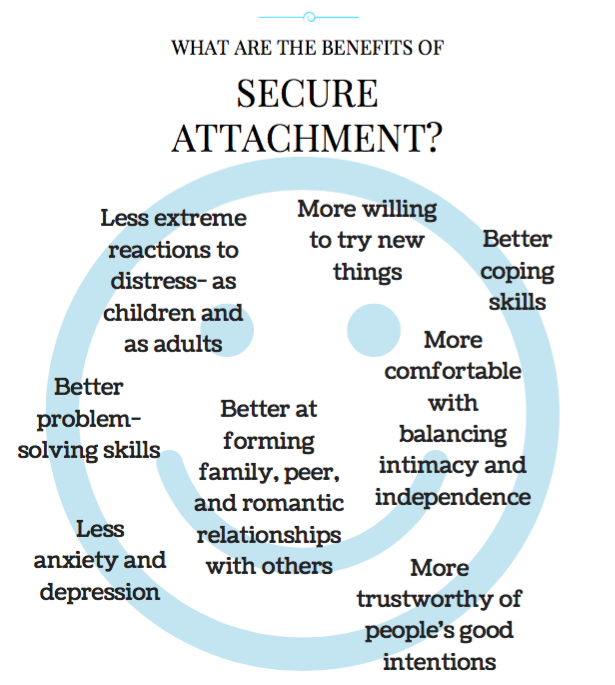 The benefits of secure attachment seem endless. Before I get into them, however, I want to be clear when I say that none of this is black-and-white. Even though researchers have been studying attachment for upwards of 70 years, there is still a good amount of grey area in this field of research. Saying that, there are definitely benefits to developing a secure attachment with your child in those first few years of life. Some of them include more exploration as toddlers (Waters, Whippman, & Sroufe, 1979), better motor skills (Matas, Arend, & Sroufe, 1978), and higher social competence (as rated by teachers) in elementary school (Simpson et al., 2007). Children with secure attachment also tend to receive higher grades and tend to be more cooperative and goal-oriented than insecure students (Crittenden, 1992; Jacobsen & Hoffman, 1997). Hazan and Shaver (1987) argued that attachment security allows individuals (as infants, toddler, preschoolers, older children, and adults) to believe that the world is generally a safe place to be and that other people are generally good-intentioned. As adults, secure attachments "allow individuals to be flexible and constructive in their interpersonal relationships" (Simmons, Gooty, Nelson, & Little, 2009, p. 233). When children of any age are distressed and they experience these emotions too frequently or for too long of a period of time (without being soothed by an adult), the stress that results can have irreversible damage on a child's brain development (see the National Council on the Developing Child, 2005 for a summary). Further, exposure to chronic stress has been associated with physical disease, such as cardiovascular disease, and psychological disorders, such as depression and anxiety (see McEwen & Seeman, 1999). It is important to note that while some research discusses extreme situations involving stress, such as abandonment, abuse, or other serious trauma, "other literature discusses stressors that a signficiant number of children are exposed to, including low socioeconomic status (Lupien et al., 2000), stress due to maternal depression (Essex et al., 2002) and simply low quality maternal behavior (Hane & Fox, 2006)" (Miller & Commons, 2010, p. 4). Lastly, enjoy this video that does a great job summarizing many of the outcomes associated with attachment insecurity. Essex, M. J., Klein, M. H., Cho, E., & Kalin, N. H. (2002). Maternal stress beginning in infancy may sensitize children to later stress exposure: Effects on cortisol and behavior. Biological Psychiatry, 52, 776-784. Hane, A. A., & Fox, N. A. (2006). Ordinary variations in maternal caregiving influence huan infants' stress reactivity. Psychological Science, 17(6), 550-556. Lupien, S. J., de Leon, M., de Santi, S., Convit, A., Tarshish, C., Nair, N. P., Thakur, M. McEwen, B., Hauger, R. L., & Meaney, M. J. (1998). Cortisol levels during human again predict hippocampal atrophy and memory deficits. Nature Neuroscience, 1, 69-73. McEwen, B.S., & Seeman, T. (1999). Protective and damaging effects of mediators of stress: Elaborating and testing the concepts of allostatis and allostatic load. In N.E. Alder, M. Marmot, B.S. McEwen, & J. Steward (Eds. ), Socioeconomic status and health in industrial nations: Social, psychological and biological pathways. Annals of the New York Academy of Sciences, 896, 30-47. Miller, P. M., & Commons, M. L. (2010). The benefits of attachment parenting for infants and children: A behavioral developmental view. Behavioral Development Bulletin, 16(1), 1-14. Simmons, B. L., Gooty, J., Nelson, D. L., & Little, L. M. (2009). 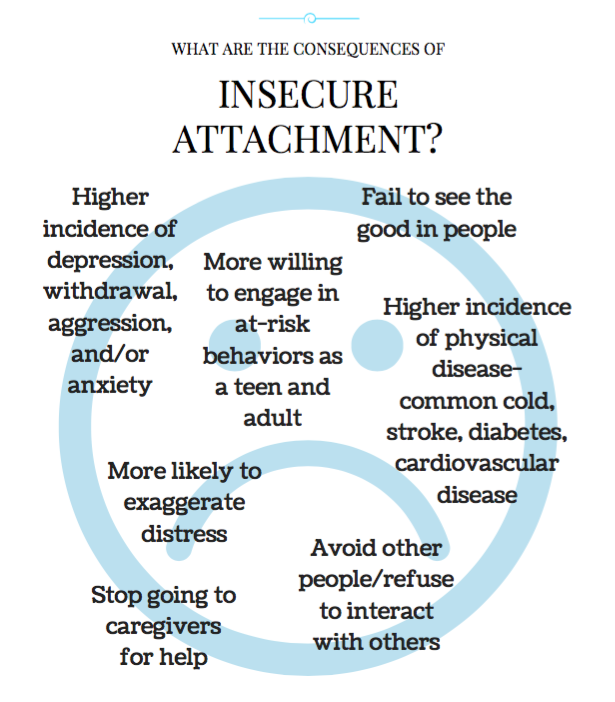 Secure attachment: Implications for hope, trust, burnout, and performance. Journal of Organizational Behavior, 30(2), 233-247. Simpson, J.A., Collins, W.A., Tran, S., & Haydon, K.C. (2007). Attachment and the experience and expression of emotions in romantic relationships: A developmental perspective. Journal of Personality and Social Psychology, 92(2), 355-367.